This is a preset and scene file pack for use with Octane in Cinema4d. If you’re looking to create awesome fog filled environments, this is the pack you’ve been waiting for! 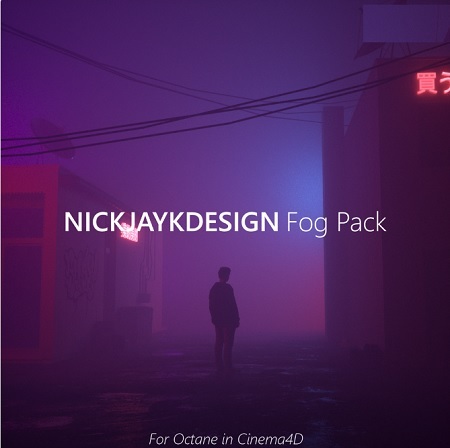 This pack includes 4 complete scene files that I have created (3 from my Instagram page, and one completely new one), and the fog preset to import into your scene! Simply add the preset to your scene file, add some lights and hit render! In my younger days, we referred to people like Eddie Rispone as all smoke and mirrors. Today, the younger people would say he is nothing like a Lit Wavy.